in the Jefferson College Library. 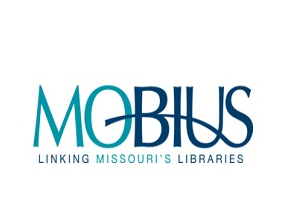 MOBIUS allows you to search and request items from all over Missouri, Oklahoma, and Colorado. 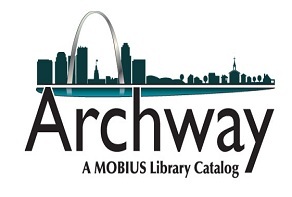 Use this tutorial to access Overdrive's popular eBooks and media resources. This video will walk you through accessing and checking out Overdrive titles on your device. Overdrive includes fiction and nonfiction titles, in addition to audiobooks, music, and video titles. Use this tutorial to access EBSCO eBooks on your computer or digital reader. The video will walk you through the steps to access these titles. EBSCO eBooks are from various collections and include K-12, in addition to undergraduate academic titles. This collection focuses on both current and hard-to-find titles for educational instructional purposes, including literary adaptations, blockbusters, classics, environmental titles, foreign films, social issues, animation studies, etc. Films on Demand is a streaming video database of thousands of high-quality educational titles in dozens of subject areas from producers such as Films for the Humanities & Sciences, NOVA, BBC, ABC, CBS, MSNBC, and TEDTalks . Films can be shown in full length or clips. Clips can be combined to make personalized playlists. Alexander Street is a primary source streaming service that provides access to news and documentaries through its online database. Jefferson College presently subscribes to Alexander Street's 60 Minutes collection which contains episodes or the aforementioned show from 1997-2014.